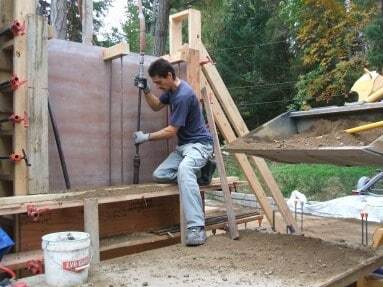 Rammed earth wall construction is a specialized field that requires skill, experience and knowledge to do properly. Like other occupations such as stone masonry or carpentry, training is required to become competent. Whether you want to build insulated walls for a cold climate or non-insulated walls in tropical environments or for landscaping, we offer workshops that teach people to build like a pro. 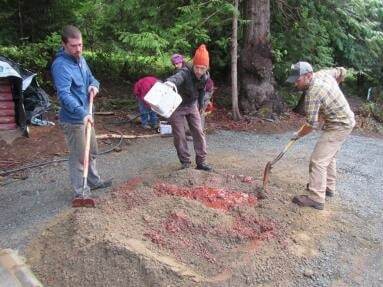 By developing an ongoing relationship over time, either with just one course or during multiple projects, an student will learn to build high quality walls from experienced rammed earth builders. From time to time we will offer apprentices who have completed a workshop paid work on our projects for an extended period of time, further offering more building experience. 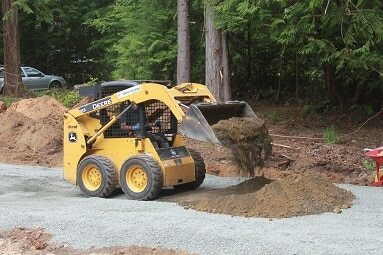 Apprentices may also arrange for us to work on a project in their home town where they will have an opportunity to further their training, while we guide the rammed earth portion of the project. Deposit of 1/2 course fee is required to reserve a space, refundable up to 3 weeks before start date. What you need to bring : CSA approved work boots, enthusiasm! Repeat courses are only 1/2 price to encourage further competency and experience. 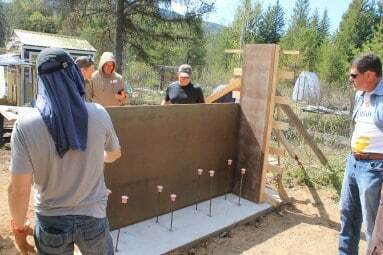 This is a 6 day hands on course that teaches key rammed earth construction techniques for structural house walls or landscaping non-insulated walls…learn by doing! Some other people say they have a hands on course, the hands on is making a tiny sample (around 12″ x 12″) while basically selling you on their way of doing things which eventually leads to contracts you will not like, so don’t be fooled. In our workshop you will be shown exactly how to efficiently form and ram a wall like a pro. This course is actually real work, it involves forming up for walls and then shoveling and ramming the material in the forms, then removing the forms the next day and feeling the satisfaction of creating an object of beauty. 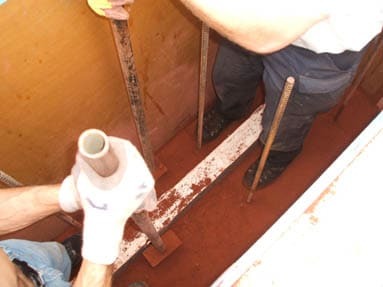 You will also learn about proper material selection,tools to use and mixing etc. with lots of time for Q & A about building rammed earth walls. You will need to bring: clothes that can get dirty and enthusiasm! Be sure to leave your phone # when you Contact us.